Baldwin County Alabama is a county of Alabama. According to the 2015 estimates from the U.S. Census Bureau, the population is approximately 203,709. The county seat is Bay Minette. it is the largest county in Alabama by area and is located on the eastern side of Mobile Bay. In the first days of Baldwin County, the town of McIntosh Bluff on the Tombigbee River was the county seat. (It is now included in Washington County, west of Baldwin County.) The county seat was transferred to the town of Blakeley in 1810, and then to the city of Daphne in 1868. In 1900, by an act of the legislature of Alabama, the county seat was authorized for relocation to the city of Bay Minette; however, the city of Daphne resisted this relocation. To achieve the relocation, the men of Bay Minette devised a scheme. They fabricated a murder to lure the Sheriff and his deputy out of the Daphne. While the law was chasing down the fictitious killer during the late hours, the group of Bay Minette men stealthily traveled the seventeen miles to Daphne, stole the Baldwin County Courthouse records, and delivered them to the city of Bay Minette, where Baldwin County’s county seat remains. 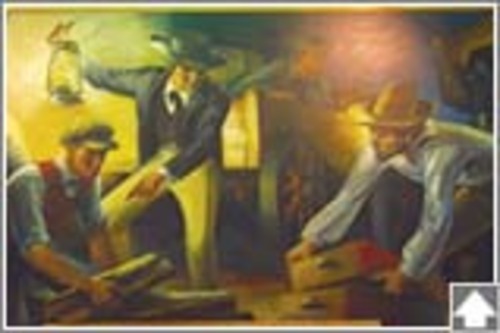 A New Deal mural, completed by WPA artists during the Great Depression, depicts the events. It hangs in the Bay Minette United States post office . Magnolia Springs is located at the headwaters of the Magnolia River, which was originally called River de Lin, or River del Salto by local residents. Various boats and steamships brought travelers into the area. of the Alabama ghost town of Blakeley. Now a part of Historic Blakeley State Park, the city once competed with Mobile for the status of queen city of Lower Alabama. All that remains today are gravestones, a few ruins and traces of old streets. We believe in educating others while sharing our passion for animals by providing engaging opportunities with our guests both here at the zoo and offsite. Established in 1980, Bon Secour (the name, in French, means “safe harbor”) is smaller than most other national wildlife refuges, and is divided into Sand Bayou, Perdue, Little Point Clear, Fort Morgan, and Little Dauphin Island. Located in south Alabama along the Gulf of Mexico and Bon Secour Bay, Baldwin County, is recognized as one of the premier tourism spots in Alabama. 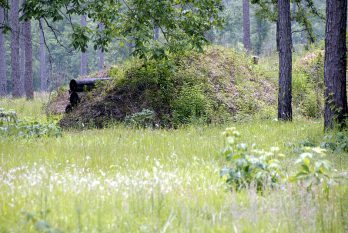 Noted Civil War sites in the county include Fort Morgan and Fort Blakeley. Because of Baldwin County’s proximity to the Gulf Coast, it was the site of some of the earliest European explorations and settlements in the South. Baldwin County Alabama contributed to the Confederate Civil War activities through production of salt from the Bon Secour Salt Works which went into production in early 1863. The salt production facility was was comprised of long open sheds with a brick firebox running down the center of the shed. Iron containers positioned along the fire box and were heated by a fire and as the hot air traveled through a fire box, it boiled the brine solution in the pots leaving the salt to be collected. The brine was taken from pits dug into the area’s salt marshlands. On September 8, 1864, a combined army-navy raiding party led by Acting Volunteer Lieutenant George Wiggin, USN, left the Fort Morgan anchorage at 7:00 a.m. Wiggin commanded three naval gunboats, the USS Tritonia, the USS Rodolph, and the USS Stockdale and one army transport, the steamer Planter, which had two barges in tow. Resmondo Boat Works offers expert painting and repair services for customers on the Gulf Coast. With four generations of experience in the boat industry behind them, Resmondo can professionally repair and paint any surface on your boat to have it looking like new in no time. We are certified and skilled in all repairs, fixing any problem you may come across with your boat no matter how large or small. Located in Perdido Beach, Alabama across the bay from Orange Beach, Alabama and Pensacola, Florida. Resmondo Boat Works specializes in Fiberglass and Wooden Boat Repair and Painting and Engine Re-Power Services. Battery Duportail (1901-1931) – Battery Duportail (1901-1931) – Battery Duportail was a reinforced concrete, Endicott Period 12 inch coastal gun battery on Fort Morgan , Baldwin County, Alabama. The battery was named in G.O. 78, 15 May 1903 after Maj. Gen. Louis L. Duportail, Chief of Engineers (1777-1783), Continental Army, who served with distinction during the Revolutionary War and who died at sea in 1802 while en route to France. Battery construction started in 1898, was completed in 1900 and transferred to the Coast Artillery for use 3 Jun 1900 at a cost of $ 172,646.05. Declared surplus in 1931. This image is a worksheet map by Hale drawn from an aerial photo which shows the old federal highway system in Baldwin County, Alabama, near the Mobile River. The map shows the old stage road and Highway 59 that intersect with the Old Federal Road. The map has a detailed description of various physical features like Nanahuba Island, rivers, creeks, lakes, ponds, and swamps. The map shows the location of a saw mill. The map also shows the locations of Fort Montgomery and Fort Mimms. The map includes a number of numerical designations of unknown meaning.